Harnett Primary School is piloting a STEM classroom, curriculum, and Science Techbook . Recently the school was given the opportunity to have a Hot Air Balloon come to their campus, which ties in with the STEM model. During our STEM classes leading up to the hot air balloon arriving at school, each class worked on constructing, investigating, designing hot air balloons and finding out how Hot Air Balloons work. Classroom teachers incorporated hot air balloon books into their literacy instruction as well. 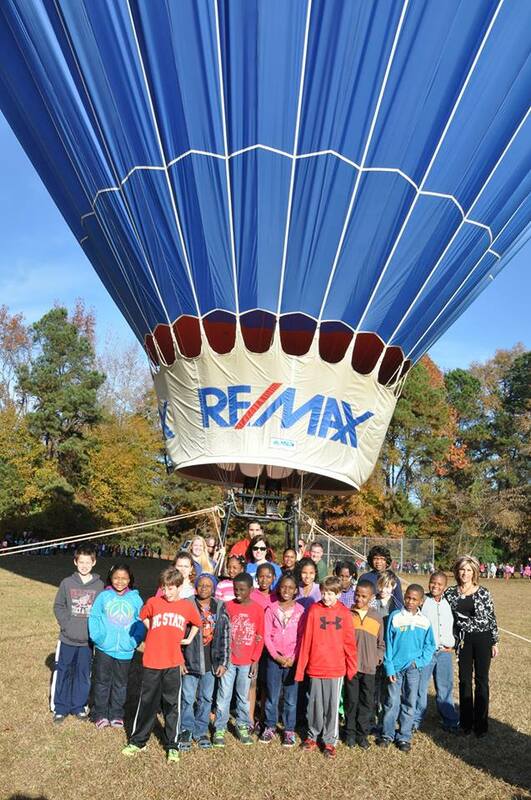 On November 22, REMAX’s Hot Air Balloon came to the school so students could make a real-life connection to the topic they had been discussing in class. REMAX’s Hot Air Balloon pilot gave students a lesson on the history of hot air balloons, as well as an explanation on how they work. Students then went back to their classrooms and made their own hot air balloons out of trash bags so they could get a hands on exploration.